Are you feeling the need for a little Kim Diehl? Then, this club would be perfect! Meeting six (6) times throughout the year you will create four (4) wonderful small(ish) projects using the new Simple Whatnots book. Alice will guide you through each and every step along the way . . . sharing with you all her knowledge and expertise whether you are stitching by hand or machine. Spectacular wool applique will be included in each small quilt! Come join the fun! 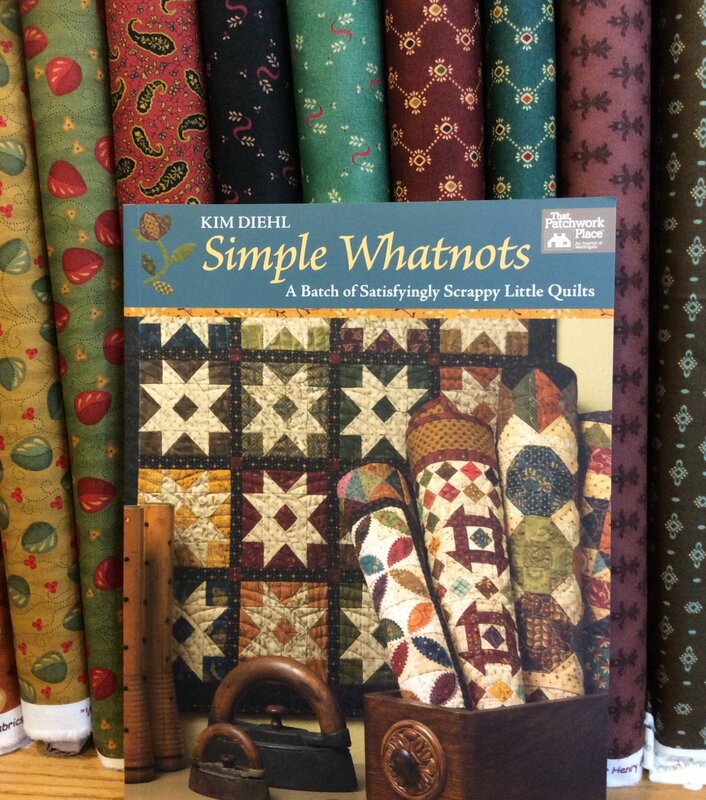 Book: Simple Whatnots written by Kim Diehl A complete supply list will be available approximately two (2) weeks prior to each month's class. This class fee includes all six sessions of classes.